Registration is now open for our 2019 camps! Don’t miss the fun! Host your next event or group outing at NaCoMe! Whether you're looking for adventure or relaxation, we can accommodate you and your group. NaCoMe has it all. From swimming to kayaking, archery to ziplines, our giant swing to campsite cookouts, our guests enjoy the best of camp. We couldn’t do it without you! Learn how you can support NaCoMe’s mission, programming, and facilities. Nestled in a valley of Pleasantville, TN, NaCoMe Camp & Retreat Center is a home away from home for generations of people. 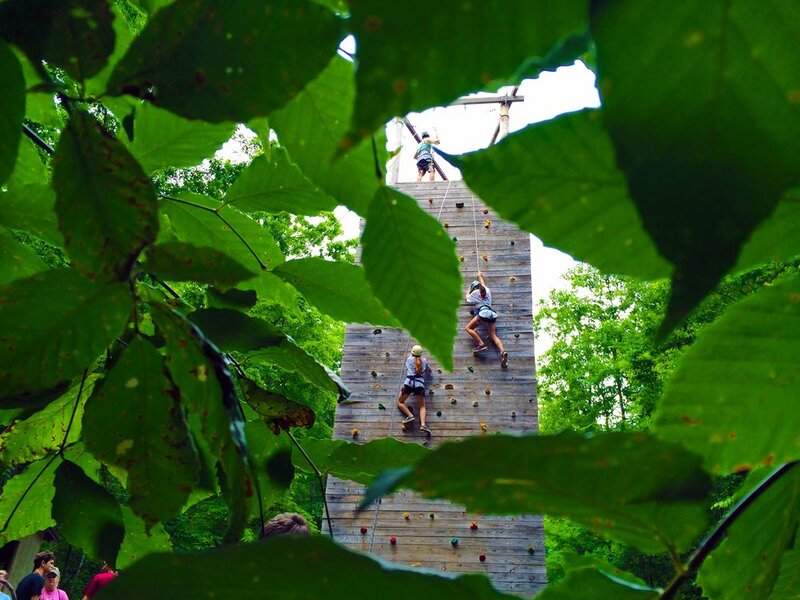 We offer a wide variety of summer camps and retreats for churches, schools, or groups of any size. All of our programs are centered around our mission of building community, connecting people with God, and renewing spirits. NaCoMe has been a leader in summer camp programming for nearly 80 years. Find out why our campers consistently call NaCoMe the "best week of summer," and then learn more about the age-specific programs we offer. Summer Camp 2019 registration opens January 1st, so don't miss out! See Pictures of Summer Camp 2018! Bring your group to spend a week or a weekend in this beautiful setting. Enjoy our modern cabin amenities, homemade meals, and take a step back from the noise and distraction of daily life. Whatever your group, and whatever the event, we'll help you plan a retreat that achieves your group's goals. Be a Christian leader! We're looking for the next group of staff to join our team. Be a part of something bigger than yourself when you serve in this incredible community. Applications open October 1st. Be sure to apply so you can help make the magic of camp come to life for our campers. We can't do it without you! We're fortunate to have so many people that care about this place and this ministry, and NaCoMe's ministry would not be where it is today without that support. Will you join the community that gives to NaCoMe? Click here to learn more about giving financially or giving through service.